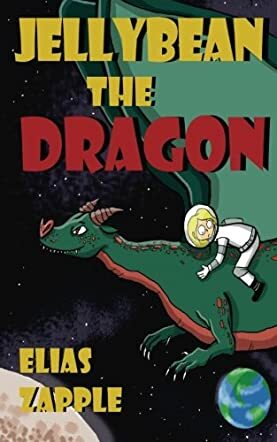 Jellybean the Dragon (The Jellybean the Dragon Stories Book 1) by Elias Zapple is a fun and adventurous storybook for children. The story revolves around Emma, a ten-year-old girl who owns a castle and a big spaceship that can fit a dragon inside. One day, Jellybean the dragon accidentally lands in her castle and the story takes an unexpected turn from that point, whisking readers off on an adventure where they run into different types of characters on the way. Since Emma has completed her training as an astronaut, she takes Jellybean to his home planet in her spaceship. The book gives information about planets and space travel and will keep young readers captivated till the very end. The book throws light on planets and also introduces readers to many new things and helps them enhance their vocabulary. It's a good bedtime storybook and children will love listening to some adventure and fun before they go to sleep. It can also be used for read aloud sessions in classrooms and school libraries. The information about planets is given in an engaging way, making it easy for readers to comprehend. All the characters are adorable and memorable and they will stay in readers' minds long after they finish the book. There's all kinds of nonsense, fun, wackiness and fantasy in the story as we follow Emma and Jellybean in their adventure that children will find appealing. The author's wonderful imagination will definitely make readers look forward to the next book. An engaging and entertaining adventure and a fun read for children.